Here’s another fun geeky watch, the Black Screen Watch, which features a sleek black design and you can even tell the time easily on this one, unlike some of the other geeky watches we have seen. 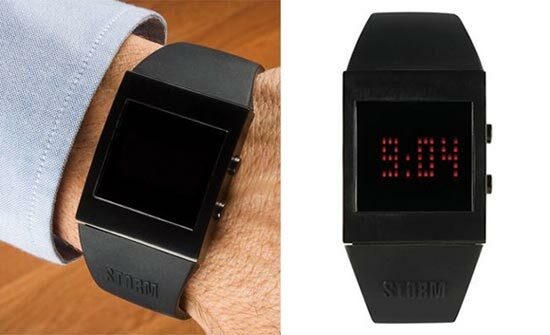 The Black Screen Watch displays a blank black screen, when you want to see the time just press a button and the time is displayed in bright LEDs. If you want one of these funky timepieces they are available for $190 each from Hammacher.